Retired Auxiliary Bishop, William C. Newman, died this morning while in hospice care at Mercy Ridge Retirement Community in Timonium. He was 88 years old. Until his retirement in 2003, Bishop Newman, served for nearly 20 years as the Auxiliary Bishop for the Eastern Vicariate of the Archdiocese of Baltimore, which included Baltimore, Harford and Anne Arundel counties. Prior to being ordained a Bishop, Father Newman served as the Archdiocese’s Superintendent of Schools for a decade and then as Secretary of Education. He also served on numerous boards, in parishes and at schools throughout the Archdiocese during his half-century tenure as a priest. Bishop William C. Newman, a native of Baltimore, Maryland, was born on August 16, 1928. He graduated in 1946 from Calvert Hall College, a Christian Brothers School in the city. He entered St. Charles College, Catonsville, the same year in preparation for the priesthood. He graduated from St. Mary’s Seminary in 1950 earning a BA degree. In 1950, he entered The Catholic University from which he graduated in 1954 with a STL degree (licentiate of Sacred Theology). On May 29, 1954, he was ordained to the priesthood. After ordination, he was assigned as Assistant Pastor at St. Elizabeth Church in Baltimore where he remained until 1962. In 1962, he was assigned to St. Paul’s Latin High School, which was a Day Seminary, as the first principal. He stayed at St. Paul’s in that capacity until 1967. He received his Master’s in Education, Administration and Supervision from Loyola College in 1965. At the same time, he received additional graduate credits in the theory and practice of counseling. He was elevated to the rank of Papal Chamberlain with the title of Very Reverend Monsignor by Pope Paul VI in June 1965. In June 1967, he was appointed Superintendent of Schools for the Archdiocese of Baltimore. This position he held until June 1976. In this position, he became a member of many professional and educational organizations. He was appointed to the Board of Directors for several civic and religious corporations. From 1972-1974 he held the position of Secretary of Education for the Archdiocese of Baltimore. 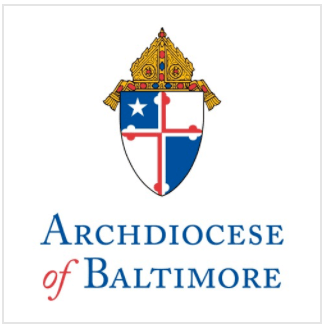 In this position, he directed all forms of Christian Education in behalf of the Archdiocese of Baltimore and worked directly in the central administration of the Archdiocese. Bishop Newman was an original member of the Priests’ Senate in the Archdiocese of Baltimore. He also served as an officer with the Matrimonial Tribunal of the Archdiocese and as a member of the Archdiocesan Clergy Personnel Board. In 1976, he returned to parish work, with appointments as pastor of SS. Philip and James, Baltimore (1976-1981), and rector of the Cathedral of Mary Our Queen, Baltimore (1981-1984). On July 2, 1984, he was ordained Auxiliary of Baltimore. Bishop Newman was appointed to the Archdiocesan Liturgical Commission established in 1962 to implement the Second Vatican Council’s Constitution on the Sacred Liturgy and was an original member of the Senate of Priests in the Archdiocese of Baltimore. He served as an officer with the Matrimonial Tribunal of the Archdiocese and as a member of the Archdiocesan Clergy Personnel Board. In 1984, he was appointed to the College of Consultors for the Archdiocese. Bishop Newman served on the Committees for Education, Religious Life and Ministry, Women in the Church and Society, and Preparing for the Third Millennium with the U.S. Catholic Bishops’ Conference and represented the Bishops in the Catholic-Jewish Consultations under the Committee on Interreligious and Ecumenical Affairs. He also has served on the boards of a number of organizations, including Catholic Relief Services, Good Samaritan Hospital of Maryland, and Catholic Charities of the Archdiocese.